Another 225 people in Amuda district went on hunger strike in support of the demands of the activist Leyla Guven and denouncing the strong isolation on the Kurdish leader Abdullah Ocalan. The parliamentarian Leyla Guven continues its hunger strike, which entered its 97th day. In solidarity with her, the people of Amuda set up on Tuesday a tent for the hunger strike under the slogan "In the spirit of Prisons' Resistance, We Will Lift the Isolation" which was joined by 110 people. Today, the hunger strikers continued their strike by joining 225 others to them, bringing the number to 335 people. 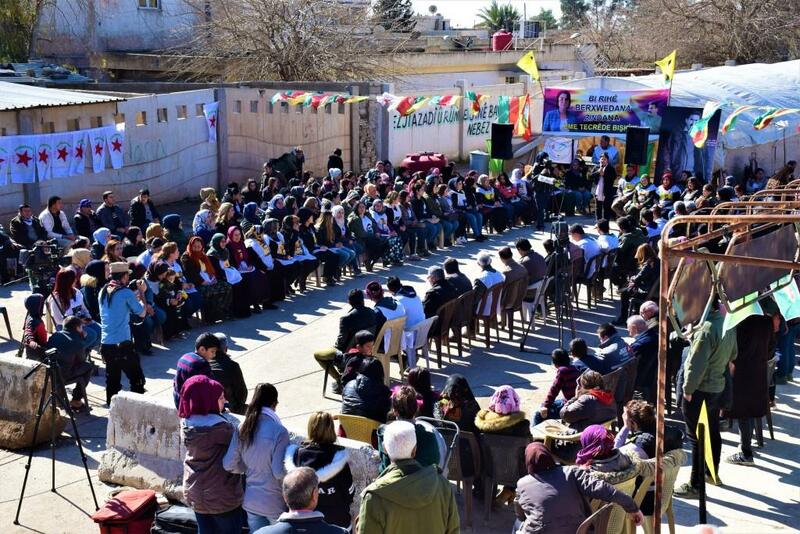 The tent was erected before the Martyrs' Families Council which was organized by Kongra Star and Amouda District Council and decorated with the pictures of the Kurdish leader Abdullah Ocalan, flags and symbols of Rojava Revolution, Kongra Star and the Democratic Union Party (PYD). 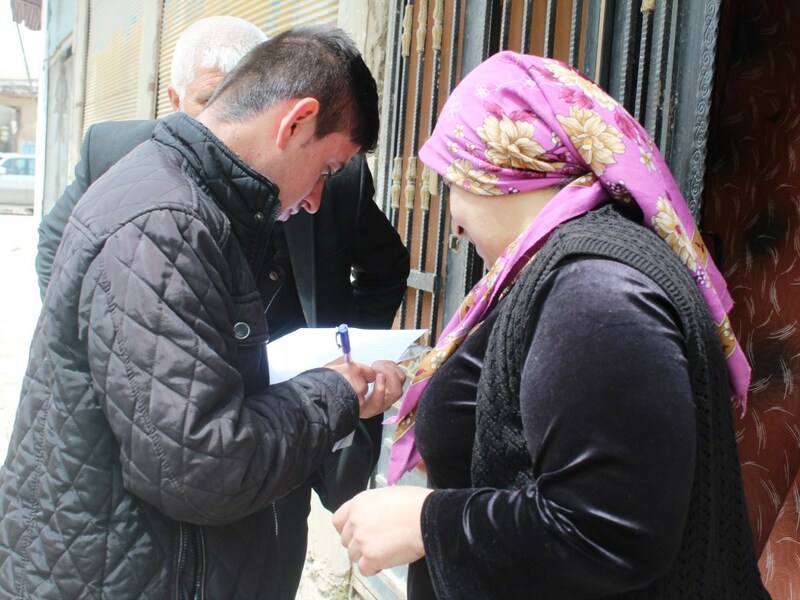 Hundreds of residents of Amuda, its towns and villages, the members of civil society organizations and representatives of Democratic Autonomous Administration (DAA), as well as delegations from civil society organizations in Qamishlo, Tirbespiyê and Girgê Legê have come to the tent on Tuesday morning. The tent's activities are scheduled to last for three days. The hunger strikers pointed out that they continue their activities until the isolation imposed on Kurdish leader Abdullah Ocalan is broken. Furthermore, the residents continue to visit the hunger strike tent in Amuda district.